After marrying his wife, Mary Ann Broomhead Wheelock, in England, he sailed to America in 1848 on the ship Carnatic. Mary Ann came to America on the ship Ellen Maria with her daughter Kate Ethlind Wheelock and her father, William Broomhead, in 1852. 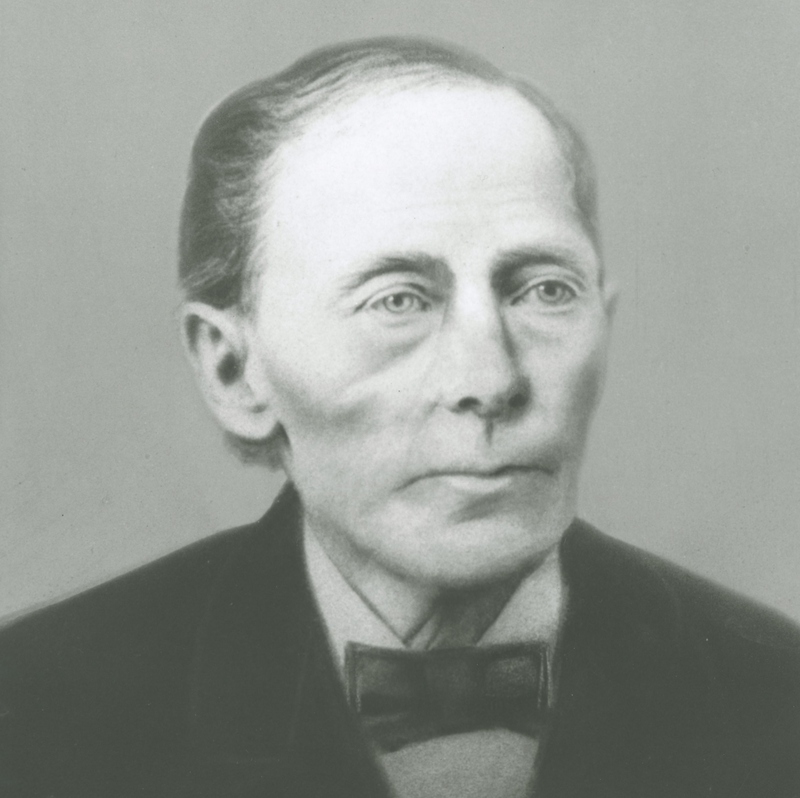 Cyrus initially traveled to the Salt Lake Valley as Captain of the Cyrus H. Wheelock Company in 1853. However, he crossed the plains again in 1856 as a returning missionary. Immediately after arriving, he turned around and went back out to participate as one of the rescuers that were sent out to assist the members of the Church stranded in Wyoming. Allen, William Land Nuttle, Journal. Belliston, Thomas, [Autobiography], in Lester H. Belliston, comp., Belliston: James Thomas Belliston and Louisa Miller, Their Forebears and Descendants , 8-9. Bown, William, [Journal], in Ann Marie Bown Brooks, comp., William Bown, Senior: His Children, His Ancestors . Broomhead, William, Diary, 1856 Oct-1857 Apr. Burton, Robert Taylor, Diaries 1856-1907, Record book, circa 1856 October-November. Cornaby, Hannah, Autobiography and Poems by Hannah Cornaby, (Salt Lake City: J.C. Graham & Company, 1881), 30, 32-35. "Cyrus H. Wheelock Dead," Deseret Evening News , 11 Oct. 1894, 4. Handcart Veterans Association. Handcart Veterans Association scrapbook, 1906-1914, folder 4. Henriod, Gustave Louis Edward, Biography of Gustave Louis Edward Henriod, 4-6. Huntington, Oliver Boardman, Diary and reminiscences, 1843 June-1900 January [transcript], 105-107. James G. Willie Emigrating Company, Journal 1856 May-Nov., 16-53. Journal History of The Church of Jesus Christ of Latter-day Saints, 28 October 1856, 1-2. Savage, Levi, Journal, 1855 Mar.-1858 Oct.
Seymour, Charles William, Journal and reminiscences [ca. 1880-1906], 80-82. Smith, Marilyn Austin, Faithful Stewards--the Life of James Gray Willie and Elizabeth Ann Pettit, 95-120. Sparks, Jane Ann Fowler, Reminiscences and diary, 1886 Jan.-1910 Mar., 15-16. Utah, Veterans with Federal Service Buried in Utah, Territorial to 1966.